In February, Eddie Bravo’s Combat Jiu-Jitsu Fight Night will take place on UFC Fight Pass. The event, which features a four-man absolute tournament loaded with talent, will also have a bantamweight bracket. Per the official Instagram account of the Eddie Bravo Invitational (EBI), former UFC fighter Marco “Psycho” Beltran and Brandon “The Assassin Baby” Moreno will be competing in the bantamweight tournament. In addition to bragging rights and a Combat Jiu-Jitsu bracket victory, the winner of the Combat Jiu-Jitsu Fight Night bantamweight tournament will earn a spot at EBI 19: The CJJ Bantamweights. 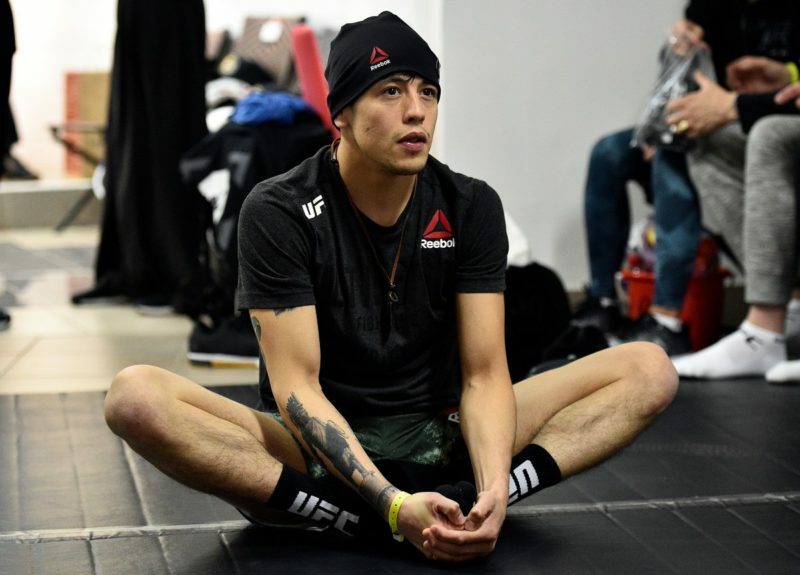 Brandon Moreno earned his spot in the UFC after The Ultimate Fighter Season 24. 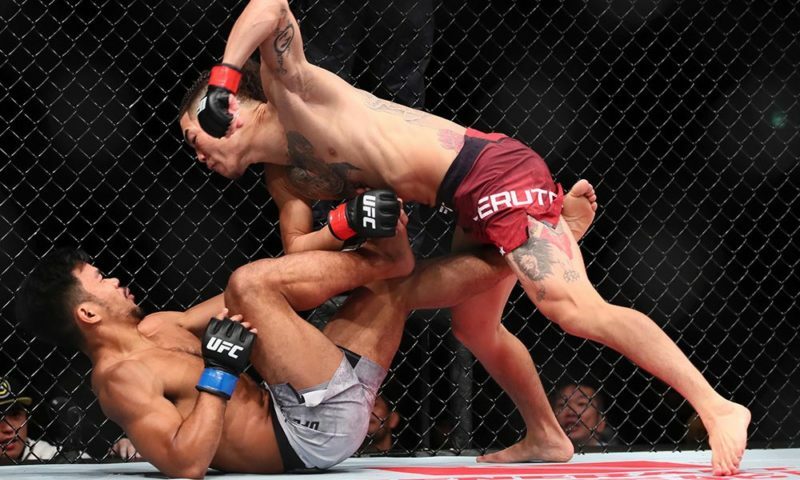 The 25-year-old flyweight was defeated by Alexandre Pantoja in the very first bout of the season, losing by second-round submission. 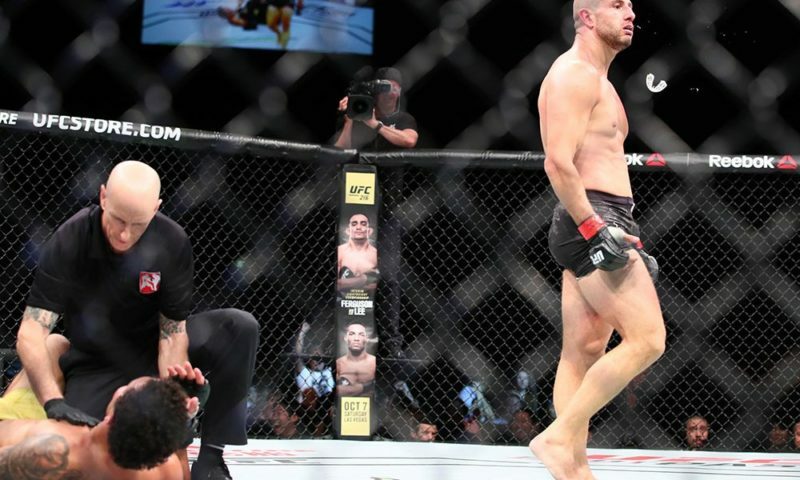 Despite losing to Pantoja in the exhibition bout, the UFC rewarded him for his impressive performance against the top-ranked flyweight in The Ultimate Fighter and booked him against Louis Smolka at UFC Fight Night 96. Moreno won three straight fights with the promotion, defeating Smolka, Ryan Benoit, and Dustin Ortiz, before dropping his next two to Sergio Pettis and, again, Pantoja. 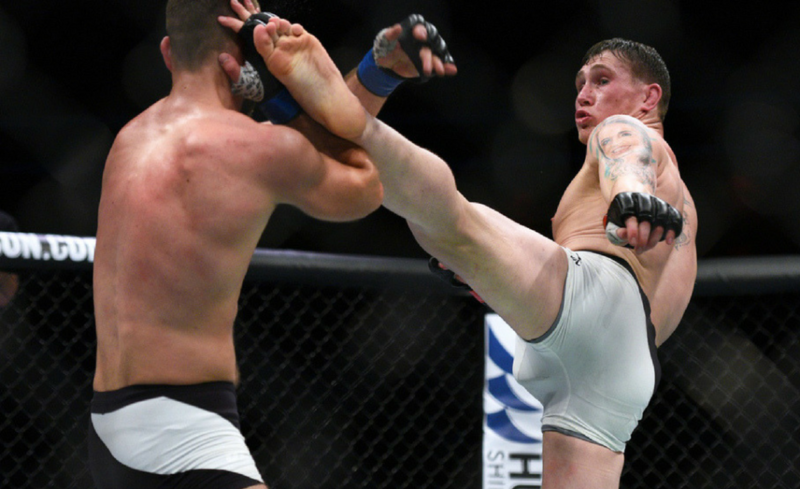 Now, Moreno appears to be another victim of the UFC’s decision to move on from the 125-pound division. 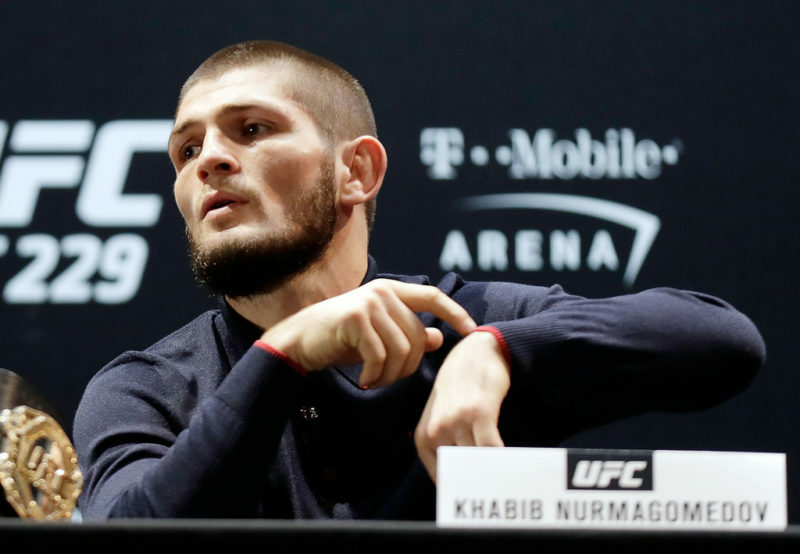 He was recently removed from the UFC’s official flyweight rankings. Moreno turned pro in 2011 and currently holds a 14-5 professional record. He alternated wins and losses over the first six fights of his career, but did manage an 11-fight winning streak over five years. For the Combat Jiu-Jitsu Fight Night bracket, Moreno will be moving up a weight class to bantamweight. Moreno has ten submissions as a professional and holds two UFC Performance of the Night bonuses. Marco Beltran also hails from Mexico and was a former competitor in the UFC’s flyweight division. An 11-year pro, Beltran joined the UFC ranks in 2014 and managed a 3-3 record to bring his overall professional record to eight wins and six losses. 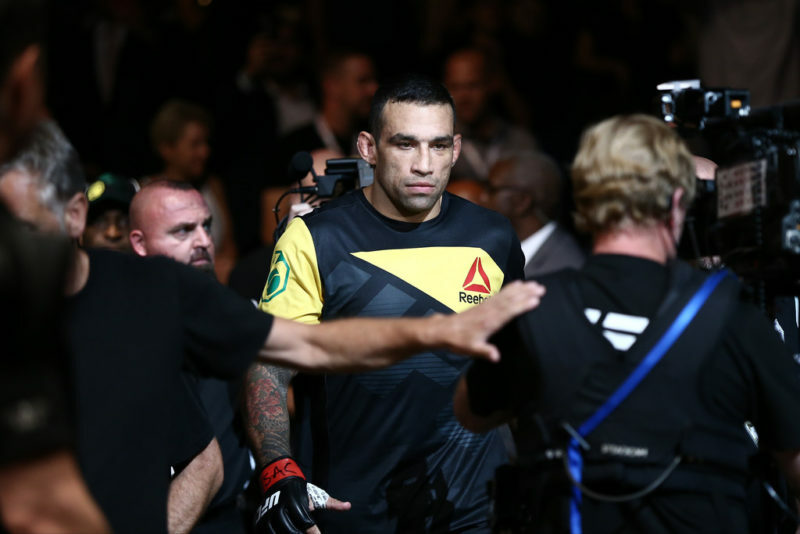 Beltran initially entered the UFC as a bantamweight, but he has competed at a weight class as high as lightweight. 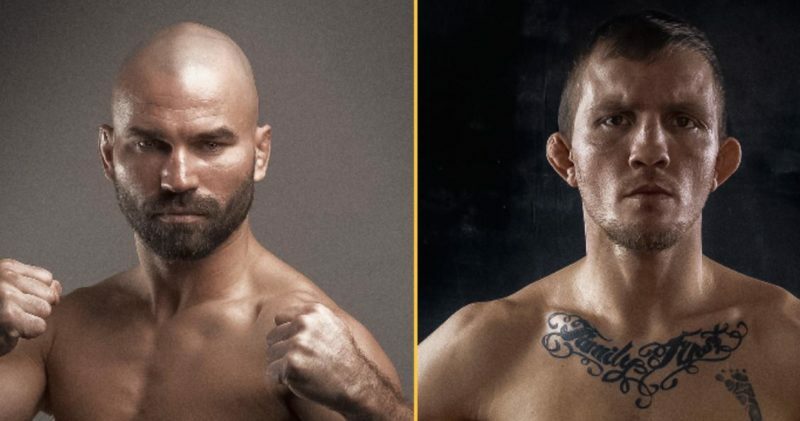 The Mexican fighter has yet to compete since a 2017 unanimous decision defeat to Matt Schnell, which came on the heels of a two-fight losing streak to former bantamweight title challenger, Joe Soto, and Deiveson Figueiredo at UFC 212. Beltran is also booked to compete in the main event of Lux Fight League 004 on March 15 against Erick Ruano. The matchmaker for LUX Fight League is Henry Briones, another fighter with experience in the UFC. Marco Beltran has four submissions as a mixed martial artist, with two rear-naked chokes and two armbars. The remainder of the bantamweight bracket is unknown, with announcements forthcoming. The Combat Jiu-Jitsu Fight Night event will take place in Los Angeles, California, on Friday, February 22 on UFC Fight Pass. 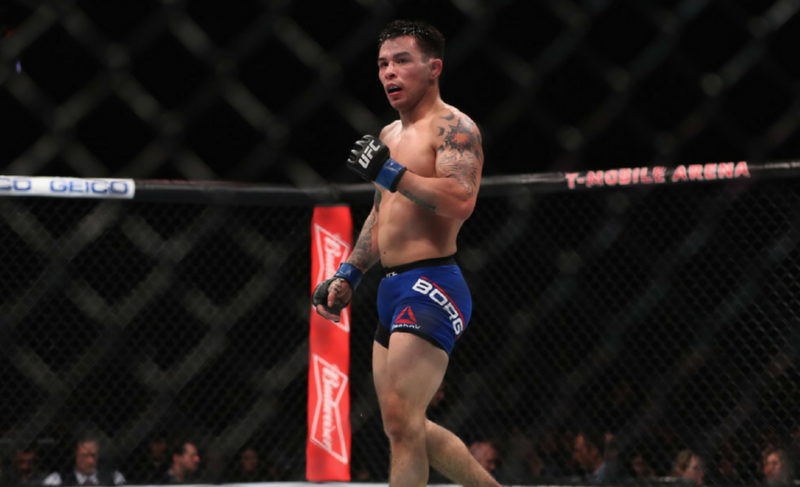 Is Ray Borg’s pressure going to be too much for Brandon Moreno at UFC 223?